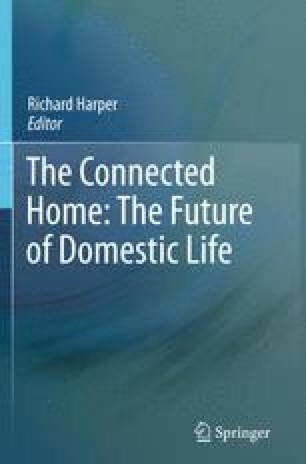 The home is a text rich environment and people’s everyday home life normally and quite unproblematically embraces many different kinds of reading associated with such things as scribbled messages, post-it notes left on fridge doors, labels, articles in newspapers, magazines, and, of course, books. Increasingly reading incorporates various electronic devices, whether it is reading text messages, reading instant message chat or reading friends’ Facebook statuses on mobile phones, laptops and desktop computers. In considering reading in the 21st century home and how the process and activity of reading might change, we need to appreciate the different processes and kinds of reading (reading for pleasure, reading as work, reading as a distraction or time-filler etc. ), the different circumstances in which reading is accomplished as well as the ‘technologies’ of reading and the interactions between them.